GiGi’s Playhouse is the only network of Down Syndrome Achievement Centers, with 41 brick and mortar and pop up locations across the United States and Mexico and 200 inquiries to start new locations all over the world. Every day, GiGi’s Playhouse provides free, life changing therapeutic, educational and career training programs for 30,000+ individuals of all ages. Down Syndrome is the largest chromosomal disability in our country and yet, it is the least funded. From prenatal diagnosis to career skills, GiGi’s makes a lifetime commitment to remain by their side, empowering families with the tools their child needs to exceed. Through free programs and the Generation G Campaign for global acceptance, GiGi’s helps maximize opportunities for daily achievement and lasting acceptance. The program helps advance a vital social impact goal by showing the world what individuals with Down Syndrome can achieve as students, co-workers, volunteers, friends, and valued members of their communities. For more information about free programs, volunteerism, impact partnerships, events, and the many ways to support our families: visit www.gigisplayhouse.org. 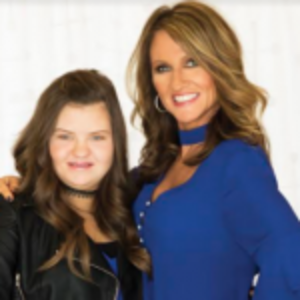 Nancy Gianni is the chief belief officer and founder of GiGi’s Playhouse Down Syndrome Achievement Centers as well as an author and public speaker. GiGi’s Playhouse is the ONLY international network of Down Syndrome Achievement Centers created to provide FREE life-changing therapeutic and educational programs for all ages. With 42 GiGi’s Playhouse locations across the U.S. and Mexico, and a demand to open 200 more worldwide using her replicable model, Gianni has no choice but to stay at the top of her game. Gianni’s passion, energy and drive serves as the visionary leader behind the organization’s success and dramatic growth; and her most important role, being GiGi’s mom. Gianni gave birth to her beautiful daughter GiGi in 2002. After receiving the Down syndrome diagnosis, her fears coupled with the negative reactions of the medical staff made Nancy believe that her life, as she knew it, was changed forever. Well, GiGi had another plan! Her birth sparked a remarkable journey of miracles, hope and unconditional love that is now helping hundreds of thousands of people every day. What began as a mother’s vision to change perception, and maximize her daughter’s successes, has evolved into a global movement of acceptance for ALL! My Action of the Day: Gratitude and get it done! The diversity of people and professions. Oatmeal and not one specific place. 12:00 PM – Favorite Lunch spot/meal? Turkey wrap at my desk. One coffee in morning, one Aspire (green tea energy drink) at lunch and water throughout the day. I used to have wine at night but now I reserve that for weekends. It is too easy to get carried away on a work night after a long day!